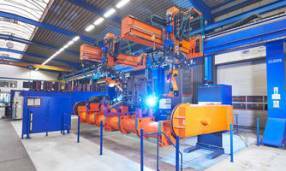 Nowadays robotic systems are used for industrial applications like welding, grinding or varnishing of large work pieces. 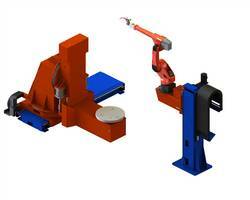 The robots in question are highly redundant systems with up to 10 or more degrees of freedom, which allows these robots multiple configurations and a wide range of possible movements. Such systems are used in the industrial production of, for example, earthmoving equipment, agricultural machines or automobiles. However, programming these systems is tedious, costly and needs highly specialized expertise, which is an important factor to achieve a reasonable return on investment for automation. The experiment CoHRoS intends to develop a practical and robust method for assistive teaching, meaning the robot will learn and generalize from few demonstrations provided by the programmer. The results will redefine and advance the state-of-the-art programming for highly redundant (high degree of freedom) robot systems. The experiment will contribute in adapting and advancing methods to structure interactive programming for those systems where is not easily possible that a human is performing the motions which the robot then has to repeat.